When we talk about interior decoration, adding flowers and flower vases are one of the most sought-after options. The wicker flower stick is a new and a unique option which is gaining popularity among the other common flower options in the market because they are far better, durable and easy to manage. 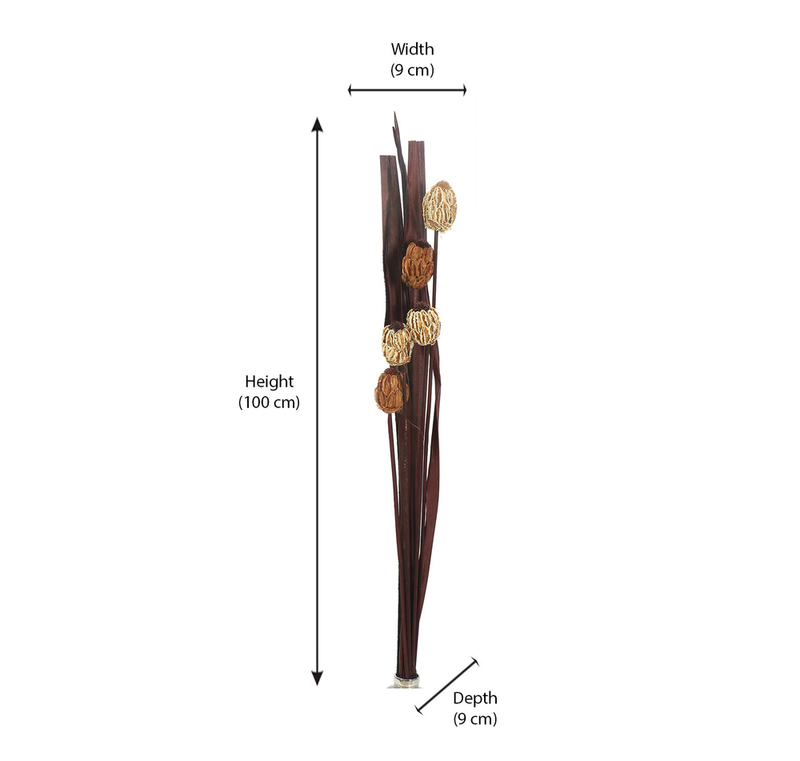 This beautiful solitary medium wicker flower stick will undoubtedly give an exceptional look to the room. The sheer beauty of these wicker flowers is definitely going to grab the attention of the onlookers. The exclusivity of these flowers lies in their unique fragrance which is distinct from all other flowers. The best thing about the wicker flowers is that their fragrance can be revived or changed by adding essential oils or by adding certain aromatic perfumes to them. The only thing that you should take care of is that to regularly clean them with a brush so that dust particles don’t get stuck on the flowers. Therefore, if you are planning to buy some beautiful and different flower sticks to decorate your home, then you should definitely buy the solitary medium wicker flower stick from @home.